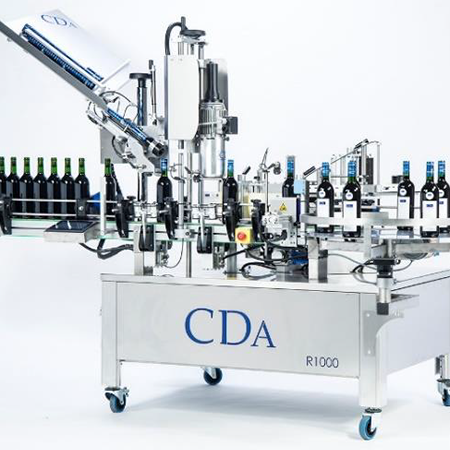 Our training courses cover all CDA automatic and semi-automatic labelling machines: Basic principles of your labelling machine, specific applications of your labelling machine for wine products or industry products. They have been designed in such a way that users of CDA machines master their labelling machines as a whole in order to optimise the packaging of their products and maximise their service life. CDA training courses are intended for all sectors of activity and all formats of products to be labelled: labelling of all types of bottles or cylindrical containers (wine bottles, beer bottles, shampoo, soaps, oil, vinegar, etc.) labelling of buckets (Painting, etc.) labelling of jars (honey, jam, marmalade, etc.) labelling of preserves (vegetables, fruit, meat, fish, etc. ), labelling of cans (chemical products, detergents, etc.) and many other products and formats.